Everyone knows The Princess Bride, the movie. And I expect most people realize that it is based on a book, as implied by Peter Falk’s character reading the story to his grandson. I decided to read the book for myself. I also recently rewatched the movie with my daughter and her grandparents. While the movie is still good — it holds up after so many years — the book is much, much better. But, the real gem is the story of Buttercup, Wesley, and the would-be criminals that try to kidnap Buttercup to start a war. The plot is almost identical to the movie (or, rather, the movie’s plot is almost identical to the book), but with extra elaboration that gives the story so much more depth. Sprinkled with Goldman’s witticisms (or, rather Morgenstern’s), the story is simply marvelous. There is constant commentary about the history of Florin and the world more generally. For example, describing one scene during which Buttercup and her family are having stew, he says: “(This was after stew, but so is everything. When the first man first clambered from the slime and made his first home on land, what he had for supper that first night was stew. )” And later: “(This was after taxes. But everything is after taxes. Taxes were here even before stew. )” This kind of commentary is sprinkled everywhere and makes the story that much more interesting. 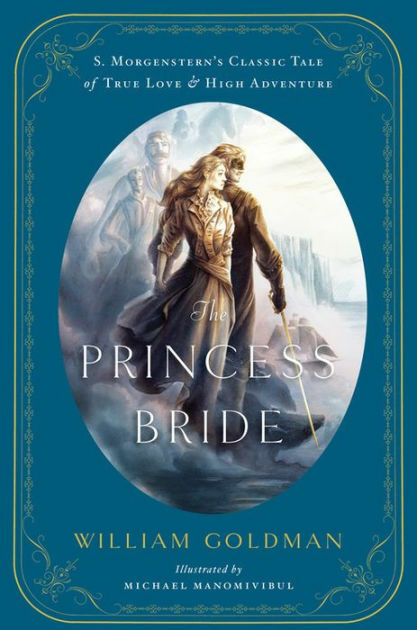 Goldman ends the version of The Princess Bride that I have with the first chapter of the sequel, Buttercup’s Baby. This is an excellent beginning of the next chapter in the story of our heroes. Unfortunately, there is only one chapter and Goldman never wrote any more. It seems that he wanted to write a sequel but never fully thought of a story he wanted to tell. Which is too bad, because the hint in the first chapter of Buttercup’s Baby promised a story of high adventure, deep wit, and great characters.